This week on What Doesn’t Kill You, host Katy Keiffer brings us an intriguing phone conversation with Baylen J. Linnekin, food lawyer and an adjunct professor at George Mason University Law School, where he developed and teaches Food Law & Policy. 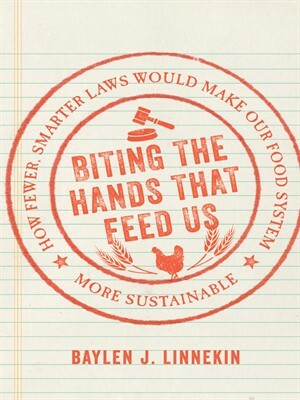 His new book, Biting the Hands that Feed Us, calls for less food regulations in our school lunch program, addressing four major areas where he believes government interference is getting in the way. Episode 207 | Why Haven't Antitrust Laws Been Evoked in the Meat Industry?